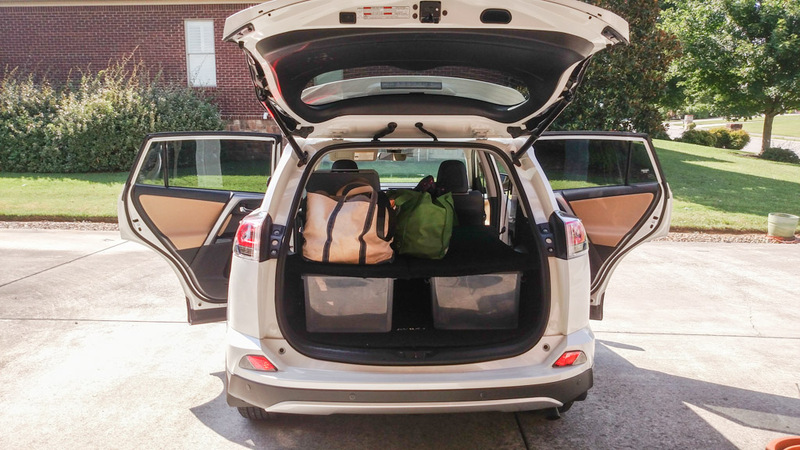 Toyota RAV4 Forums - View Single Post - Anyone figured out how to flatten the cargo space? 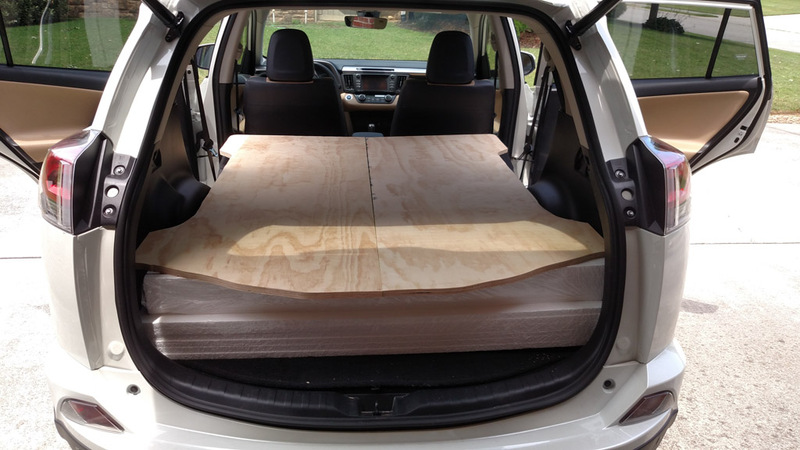 Thread: Anyone figured out how to flatten the cargo space? 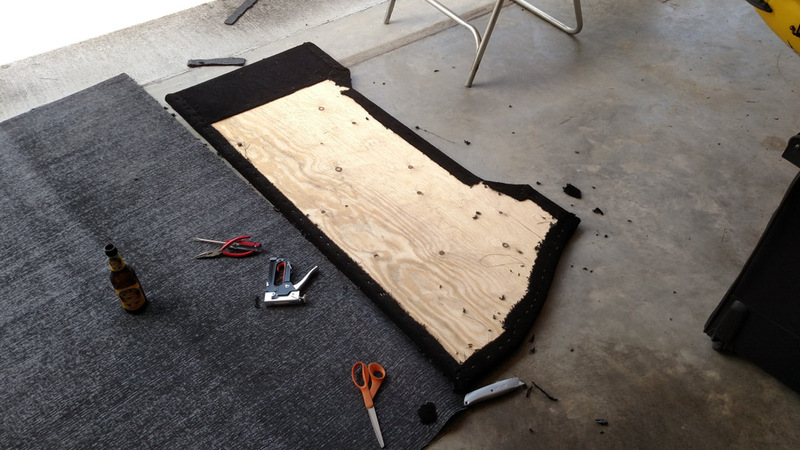 Anyway, we went to Lowes and got two 4x8 pieces of 3/4" sanded pine plywood, and some cheap black indoor-outdoor carpet. 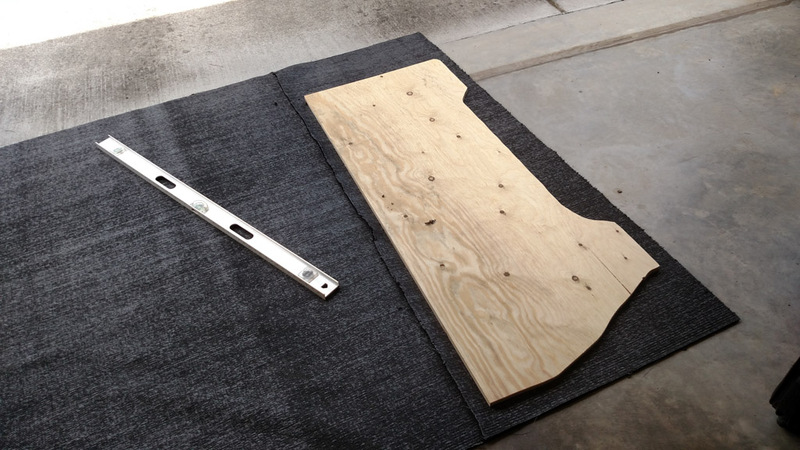 We had them cut the plywood into 63" by 25" pieces. 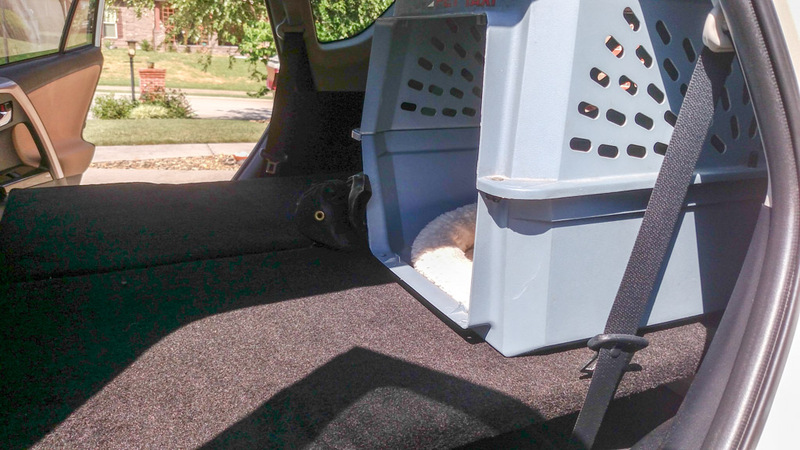 This makes the start of a two-piece platform to make it easier to get in and out. We then did some measuring and tracing to make cutouts to fit the wheel wells, etc. 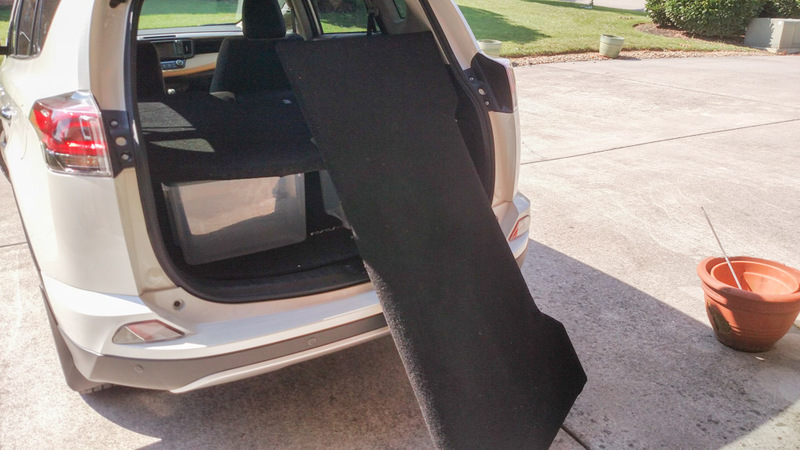 Note: we used the removable rear floor mat for a template, but that didn't work out. 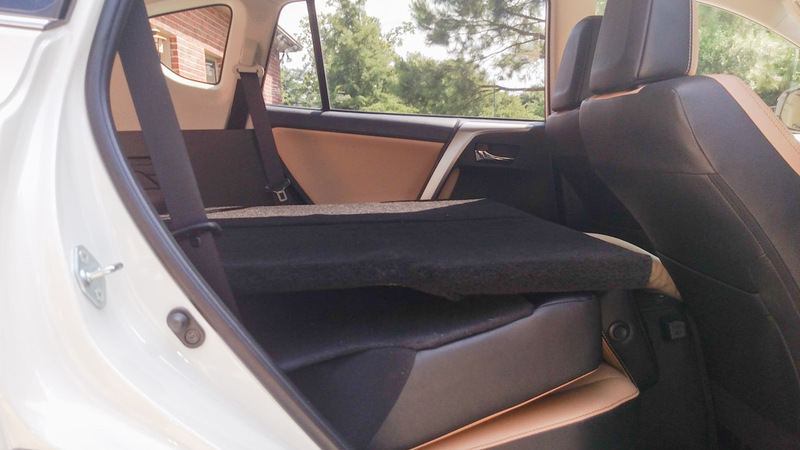 It didn't allow for the rear hatch intrusion into the space. We had to trim about 2" off the back to make it fit with the hatch closed. 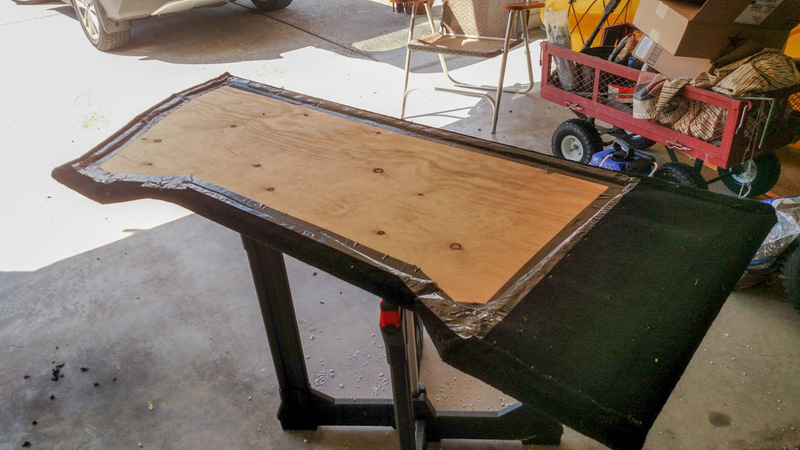 At first we were going to use some cut and glued together Styrofoam insulation boards to make block stands/props for the back, but it turned out to be a mess. 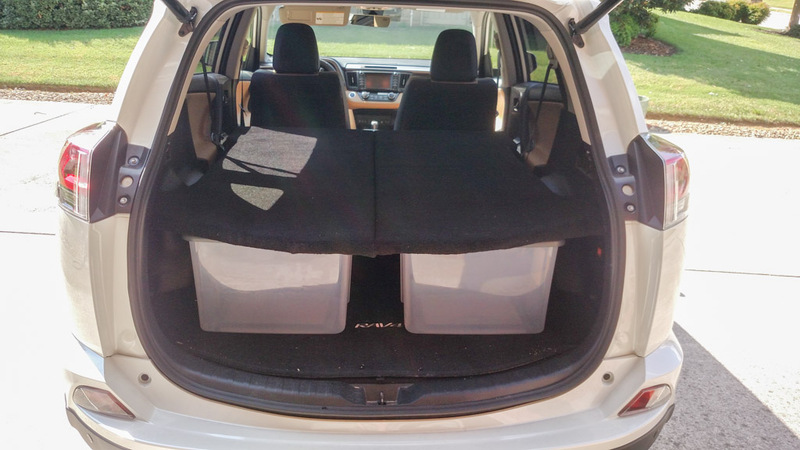 So instead we used two 11 1/2" tall storage containers, which work great and you can store stuff in them. We put rain gear and assorted other stuff in there. We're happy, and puppy is happy!